I can't believe that it was nearly 2 years to the day that I was starting University. I wouldn't say that I have had the best experience, but I have definitely learnt a lot along the way. 1) Keep your door open! Although I didn't have the best flatmates, both my boyfriend and I agree that keeping your door open is a must. For a lot of people it's the first time you're staying away from home and it can be really daunting! That being said it's especially important to try and make new friends and keep yourself busy so you don't get too home sick. 2) Buy the most basic everything; don't spend more than a couple of pounds of plates and cutlery as they won't last the year. I got given some really nice cutlery and nearly all of it went missing, I also broke a couple of plates and my oven tray got incredibly scratched up. Luckily I only spent a fiver on a set of 4 main plates, 4 side plates and 4 bowls from Sainsburys, definitely keep your eyes out for sets like that. They may not be the prettiest but you can always get nicer things the next year when you're living with friends. 3) Money never goes as far as you want it to! Rent, food, and the books you need for university isn't cheap! So find a good student bank account with a decent overdraft and a good freebie, I got the Santander which came with a free 4 year railcard! That being said be very careful with your overdraft, however tempting Topshop is that isn't what your overdraft is for. Also keep your eyes out for reduced food, reduced meat and bread is great if you're lucky enough to have the freezer space. 4) If you're struggling ask for help, I've had a tough year the past year and didn't take the support that was there. Whilst university isn't generally that hard at the beginning, it can be very overwhelming at times and your tutor is there to support you. 5) Join the Freshers pages, and pages for your halls on Facebook. It's a great opportunity to meet people, maybe even your flatmates for the next year. Also it's a great place to ask questions as lots of second and third years follow those pages too, and they'll be able to help you out as they probably had the same questions last year. 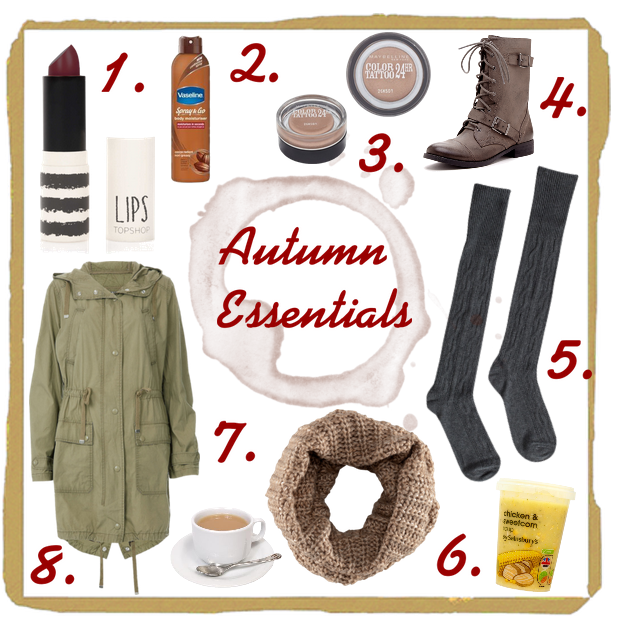 6) After Christmas you'll need to find somewhere to living for the following academic year. Yeah you need to figure out who you want to live with, and where so it's really good idea to consider early on who you definitely wouldn't want to live with for another year. Is someone really messy and leaves their plates stacked in the sink every time?! It's very possible you'll have a cleaner in halls, but after that it's down to you and no one wants to live in a tip. You'll need a deposit too, so don't forget that! 7) Not everyone has the ideal university experience. I know it's a lot of money, but not everyone chooses the right course or makes loads of life long friends. So don't be down heartened, make the most of every experience and opportunity, it's a learning curve right? And those are the tips I can think of right now I'm sure there will be a second part to this post. If you're a fresher this year are you excited, nervous? Any questions? 5. Figure out what I want to do with my future. We're a third of the way thorough the year (I know right?! It's crazy!). So I thought what better time to do an update on how well I am doing with them. 1. This one hasn't go that well, I mean we've definitely been having less takeouts but they've never really been my thing so that's not that big of a deal. Savoury foods are definitely my weakness, I could eat a billion packets of crisps or cheesy biscuits. I do think I'm snacking less though! 2. Okay, no process. I need to book me some lessons! 3. This one I feel as if I have made some process with. Nearly every weekend in April we spent with my boyfriends's family and I've spent most of the Easter hols at home with my family. It's been really nice to spend time with the people you care about. 4. Another fail, I managed to disappear from the world of blogging for a couple of months. 5. I've got my heart set on finishing this course, even if it kills me in the process! It may not be the most enjoyable experience but I want to have a degree. As you can see I'm not doing all that great at achieving my resolutions. Lets hope my next update in August will show more progress! On the 16th, I turned 20! I can't believe it, it seems it as if I had only just 19. 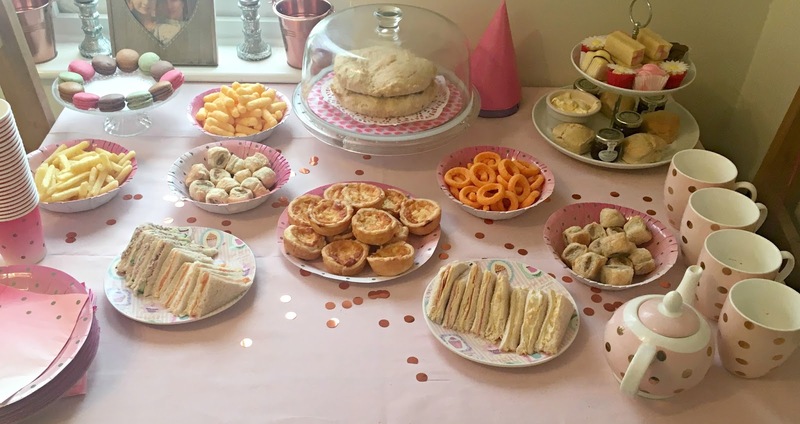 From the croissants for breakfast to the pink fizz and cake late in the evening; it was a really lovely day, probably one of my best Birthdays I've ever had. 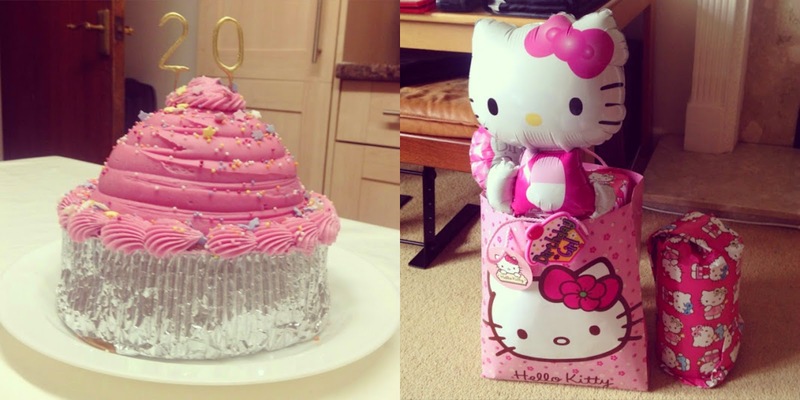 My boyfriend wrapped all my presents in Hello Kitty paper, with a Hello Kitty gift bag and balloon! Anyone who knows me knows my love of Hello Kitty and he did really well. 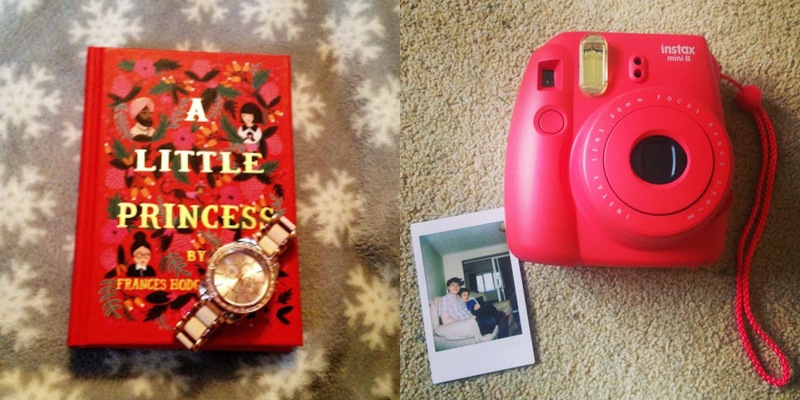 He got me a stunning watch, a beautiful edition of A Little Princess (my favourite film growing up!). He also got me a ton of Soap and Glory things, and a Sally Hansen nail varnish in Kook-a-mango (because I love mango). He always gets the most thoughtful gifts. From my parents I got the Instax mini 8 in raspberry and I am in love! I had asked for it so it wasn't really a surprise but I had no idea how much I would love it. There's just something about having a physical photo compared to just having it on Instagram. I can't wait to use it to document so many memories. My grandparents also got me some accessories for it; an adorable polka-dot case, extra film and an album to keep my pictures safe in. My day consisted of visiting family, going out for lunch, wandering around town and getting a yummy iced cooler, dinner and then my giant cupcake Birthday cake. It really was the perfect way to spend the day! This isn't the type of post I'd normally do, but I've recently finally got my dressing table from the blogpost I posted a few months ago, you can read it here, and now I'm trying to finally complete the house and pull it all together. Being students we don't have the biggest budget but that doesn't mean we can't afford cute things! Therefore I decided to write a post on my favourite places to buy homeware, some of them sell basics and some of them really cute unique pieces. The first one is Sass & Belle. I've loved their products for a while but I've only just discovered their website and it's amazing. They have really pretty wall-art, jewellery storage, photo frames at reasonable prices! I've discovered so many lovely decorative items that I never would have thought of. I'm planning on getting a few cute little signs to hang in my bedroom. The next one is Matalan. Matalan has been a long-time favourite, we have a strong relationship I guess you could say! 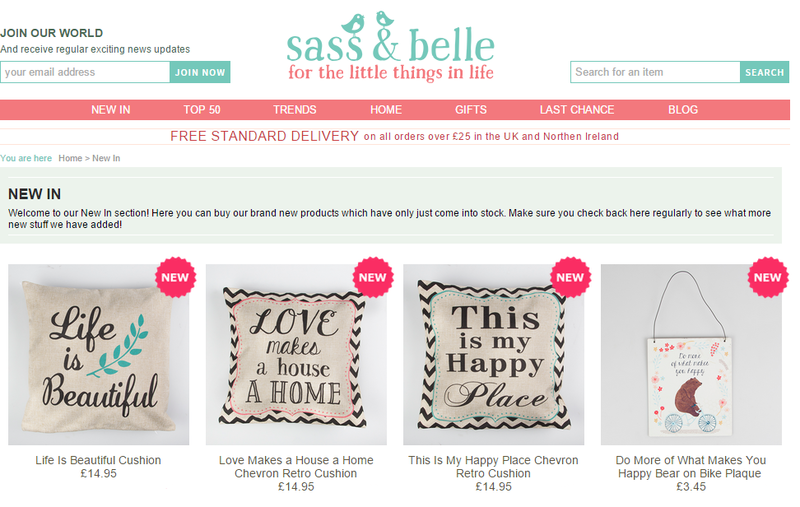 They sell everything, from the basics of crockery to pretty cushions, canvases and wall art. The only issue I have is that they change their stock rarely often and I always miss out on things that I love. The price is great, and so is the quality, it's a win-win. This next store is a bit more unique, it's a very new discovery to me but I've loved their stuff when I'd seen it on Asos before and finding out they had a website was great. 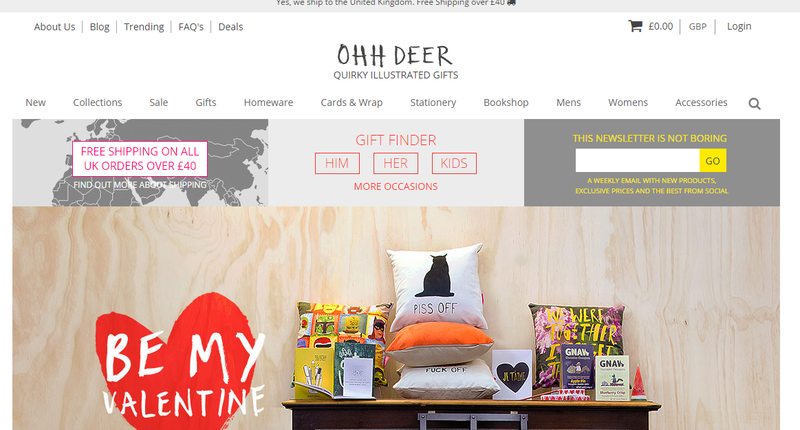 The store is called Oh Deer, and they sell funny coasters, posters and more quirky home decor. They have a ton of designers which means they have a ton of different collections and I just love it, it's not the cheapest store but keep your eye out for sales. A chic but cheap homeware store is H&M, okay not everything they sell is super cheap but they have such a wide selection and it all looks like it should cost a lot more than it does. Their cushions are so so cute, I own four and honestly they look so pretty, they also do great candles, I also love their towels! 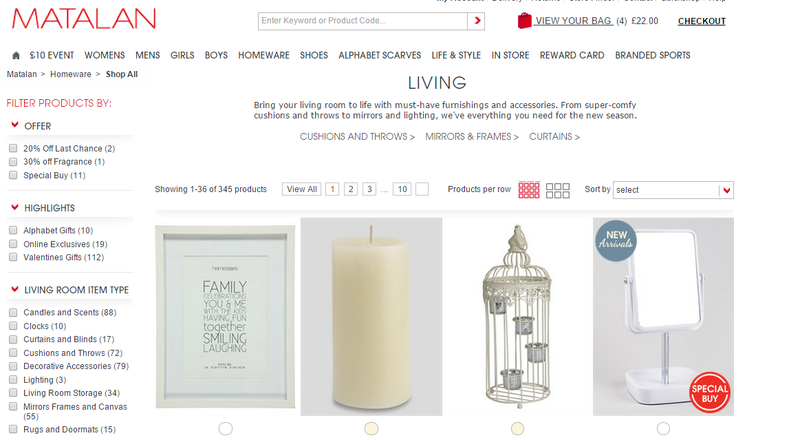 It's a really great website if you're looking for really nice classy homeware for a good price. 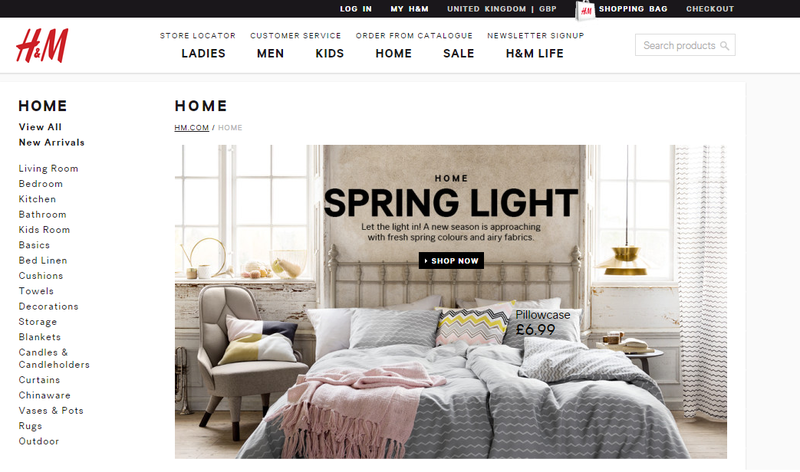 These are the four online homeware stores I shop with the most, obviously I'm also crazily obsessed with Ikea I mean who isn't, but these are less talked about stores that I really love to shop with. When I was little whenever people asked me what I wanted to do I never had an answer! I figured out that as I got older it would come to be but it never did. After school I went to college, where I studied Business Studies which I enjoyed. This led me on to choose to do a Business related course at university which at first I did enjoy. I quickly realised though that it was a lot of what I had already done but I stuck with it. This year though I have been really unhappy. I don't really like the course is for me but I don't know what other options I have. I am filled with dread every night before Uni, and early morning I am unable to drag myself out of bed. 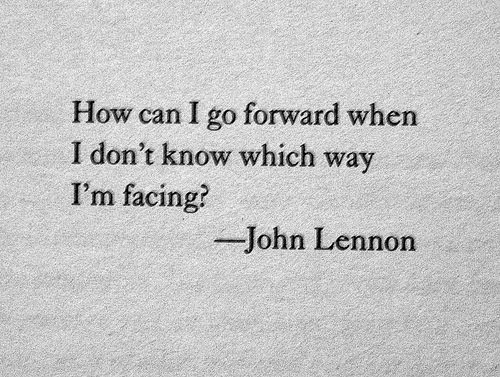 Whats even worse is that I still don't know what I want to do with my life. I just keep telling myself if I take it one step at a time I'll be fine. 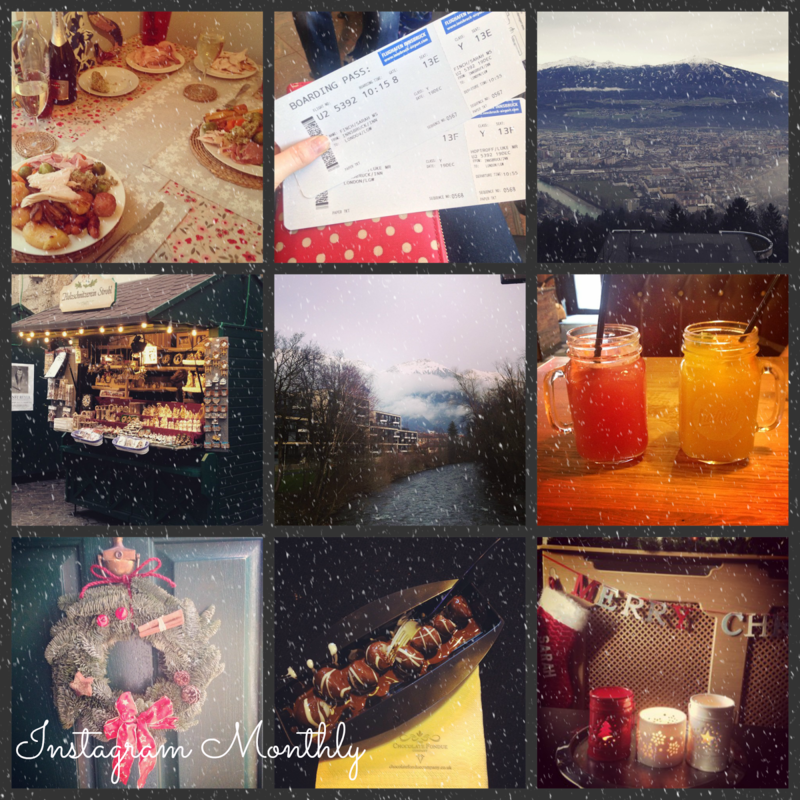 Sometimes I feel like my blog is the other thing that keeps me sane! This post was so random but I just had to get it off my chest as it's driving me insane. Did you always have it figured out or are you still figuring out along the way? 1. Christmas Dinner 2. Boarding passes 3. Beautiful Austria 4. Christmas Markets 5. Austria 6. Pink lemonade and iced tea 7. Christmas wreath 8. Chocolate strawberries at Clothes Show 9. Our Christmassy house. I'm back! New Year Resolutions! I'm back and this time with a happier post, I'm hoping to get my Austria pictures up soon but first I'm going to redesign my blog so we'll see. This post is going to be about my resolutions for 2015. I am now one of those people that has the longest list ever and there doesn't succeed at any of them I have a small realistic list of things I could actually do this year. 1) Get into better shape and take more care of my body. Simple as that, I want to pay more attention into what I'm putting into my body and look after myself. I also want to exercise more, but I'm not making realistic commitments to the Gym like last year. 2) Learn to drive. I'll be 20 in April and not being about to drive is a massive barrier for me and it's got to a point where I hate relying on people to drive me everywhere especially with my boyfriends family living in Cornwall and this Christmas was a nightmare without trains. I have a car, I should be able to drive it. 3) Spend more time with family and put more effort in. Between us my boyfriend and I have a lot of family and to be perfectly honest I love spending time with them. I've made a conscious effort to make sure I see my Mum more which is great for both of us. I've also been ordering off Avon from my boyfriends brothers girlfriend which is great, because I'm supporting her but also I actually love a lot of their stuff! 4) Blog more. I feel like everyone has this resolution but the reason I blog is because I love writing but also because it is good to clear my mind from university. I plain on doing a redesign and committing to a certain amount of posts a week. 5) Figure out my future. My university course isn't really for me, I wish it was but it's not and I need to figure out what I'm going to do about it so that I can be happier and also have some kind of plan for the future.